Stories and robots and astronomy and spaceflight and planets and astronauts and space stations! Goodnight Spaceman is a delightful book that tells the story of two children, just like my sons, who dream of joining their dad on his adventures in space. — Tim Peake, British Astronaut. 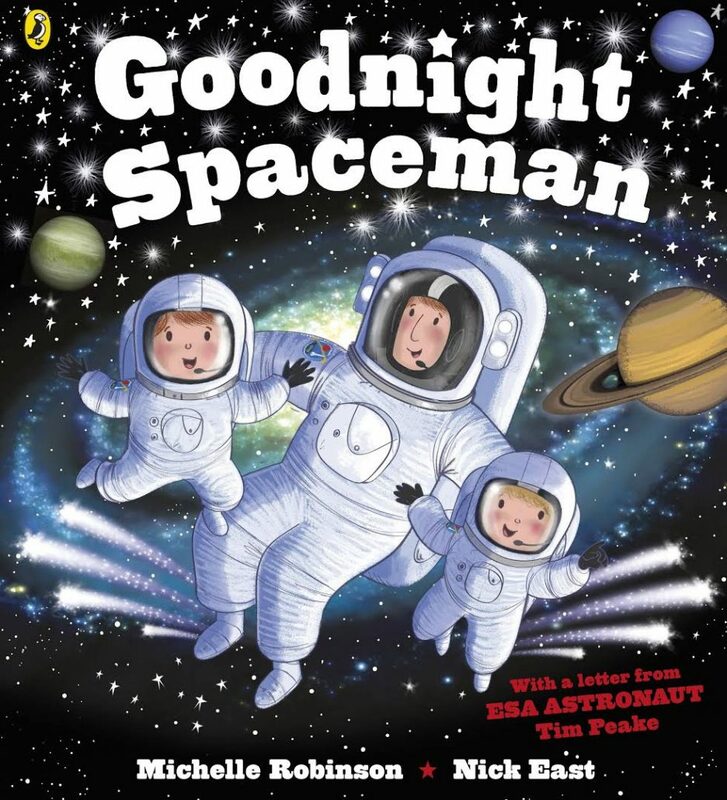 Goodnight Spaceman, by Michelle Robinson and Nick East, is available from good bookshops, Amazon, BookDepository, Waterstones, WHSmith, Blackwell, Google Books, and elsewhere. Audio versions also available. When I look up at the stars, I see the future – filled with further space exploration and new scientific discoveries. I see my two young sons looking up at those same stars, and I remember experiencing the early feelings of wonder and excitement that I now see on their faces. Tim was the UK’s first official astronaut. He flew to the International Space Station, launching on 15th December 2015 and returning six months later, on 18th June 2016. During his stay he performed a spacewalk to fix part of the station’s solar panels, ran the London Marathon (while still in space), and performed more than 30 scientific experiments. ESA Principia Mission pages (more complicated, but lots of good information). Fancy trying to spot a satellite yourself? Every now and then the conditions are just right: read this guide from Space.com for some hints, and get live updates on the position of the International Space Station. Seven people born in the UK have been to space. Find out about the rest of them here. 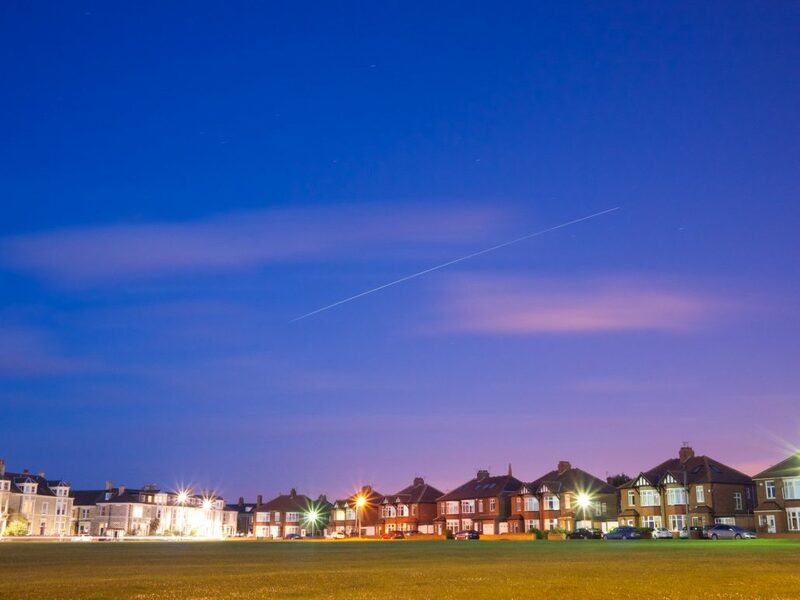 The light trail left by the International Space Station as seen from Tynemouth – a long exposure photograph taken by one of the NUSTEM team in 2010! Family Space Explorers is delivered by NUSTEM, with funding from the UK Space Agency.